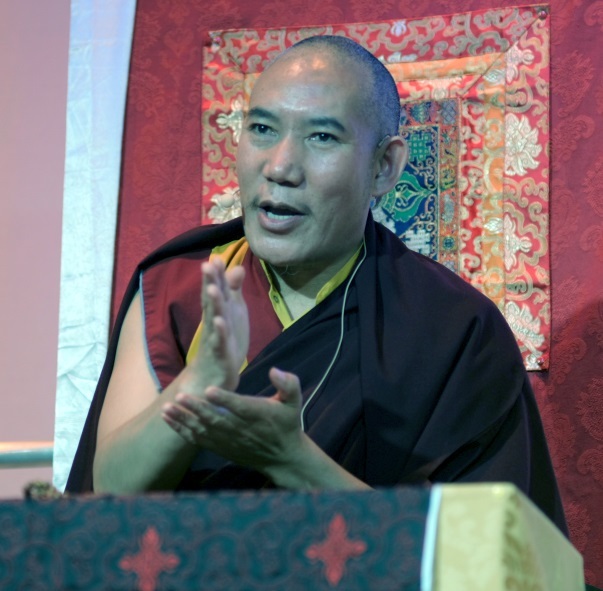 We have invited Chamtrul Rinpoche, a renowned Tibetan Buddhist Lama, to teach to the general public in Malta for the second time. Rinpoche teaches various topics in spiritually, philosophy, and psychology, to spread enhancement of inner peace of mind through Dharma in Malta, and around the world. Everybody is welcome to these teachings, which will be held sometime between February and April 2019. We are a newly-registered voluntary organisation, Bodhicitta Malta, whose aim is to spread awareness about Dharma in Malta. Members of our group come from various countries and around twenty of us meet once a month, every full moon, usually at the Volunteer Centre in Valletta. We recite world peace prayers, meditate, read some key Dharma texts and sometimes offer a Ganachakra feast. Everyone is very welcome to join our events, and no previous experience is necessary. Should you be interested in getting to know us, please follow our facebook page or send us an email. Last March, one of our founding members invited her teacher, Chamtrul Rinpoche, to visit Malta as part of his teaching tour and to give three days of talks at the Valletta Campus Theatre. Around 150 people came on each day, and the event was felt to be a huge success. Rinpoche taught on several topics. On the first day, he gave preliminary teachings on ‘Dream Yoga’ as a preparation for the second day’s instructions. Dream Yoga is a method for achieving awareness and lucidity in one’s dreams, with the ultimate aim of recognizing the true nature of one’s mind and achieving enlightenment. The efficacy of some Tibetan techniques for inducing lucid dreams has recently been confirmed by science. Rinpoche also gave a more general talk on Buddhism and science. It is often claimed, for example by H.H. the Dalai Lama, that Buddhism must conform to the scientific attitude, and there is much collaboration happening between Buddhist monks and neuroscientists these days. The audience had opportunity to ask questions and there was a very lively discussion. Some people wanted to enter the path of actual Dharma in a traditional way, and Rinpoche kindly performed the ceremony to benefit all beings from this life until Enlightenment. During that time, some of us were lamenting the fact that teachers visit so rarely, and that it is so hard to keep up a steady practice, without the support of a Dharmic community. We decided it was time to stop complaining and to get organised, and Bodhicitta Malta is the result of that discussion. We have invited Rinpoche back to teach next year so that we can continue our studies and training and take further steps on our path. However this year we we would like to ask for your help covering expenses. Total costs came to 2500 Euros last year, the bulk of which (1500) went towards hiring the venue, chosen for its capacity and central location. Our long term project is to have premises of our own, which will greatly reduce the costs of such events. If you can help with this, please email us. In the meantime, we are asking for your help to finance Rinpoche’s return. You can be involved in this project by helping to fund this year’s visit, for which we estimate around 2,200 – 2,500 will be needed. Any extra money that is collected will go towards bringing Rinpoche back in coming years. We are grateful for all contributions and will offer membership to Bodhicitta Malta for one year, a free kata (traditional Tibetan offering scarf), seat reservations for the event and the opportunity to meet Rinpoche, at a dinner specially organised for our main sponsors. We thank you in advance for your generosity and pray that the benefits multiply and spread! Sarva Mangalam! Chamtrul Rinpoche is the third in a series of recognized reincarnations in the Nyingma school of Tibetan Buddhism. Born in 1963, Rinpoche joined Mardo Tashi Choling Monastery at 14 and continued his training at Kathok monastery and Larung Gar until he was awarded the degree of Khenpo (Doctor of Buddhist Philosophy). Since 1999 Rinpoche is based in Dharamsala, Himachal Pradesh, where he runs the Bodhicitta Dharma Centre in Dharamkot. He spends much of the year travelling around the world teaching and giving empowerments and transmissions, at the request of his students, whom he compassionately guides towards inner peace and happiness. Although I am still quite sceptical of certain Buddhist views and beliefs, one thing I was very impressed with was the way (Rinpoche) links one topic to another, even when the relation is not immediately apparent. When will the teachings be held? Rinpoche will be touring Europe between February and April 2019, and will visit Malta during this time. Preparations for his European tour are still underway and Bodhicitta Malta is collaborating with other Buddhist organisations to make this happen. We will announce the exact dates as soon as we have them; meanwhile, please bear with us. For how long will the teachings go on? Rinpoche will decide about this as he finalizes his itinerary. Last year he chose to spend three days with us, during which he taught for two hours every day in the evenings. This year, he might decide to stay a little longer - who knows? - and in the future, if interest grows, Rinpoche might extend his stays further and perhaps someday even lead a live-in retreat for us. The seed has been planted, it is up to us to tend to it so it may grow. Where will the event take place? Last year they were held at the Valletta Campus Theatre. The venue was chosen because it is central and a happy compromise for people coming from the North and South. Bodhicitta Malta also feels that the capital should be the first city to host Buddhist events which are publicly registered and funded. Unless an alternative venue with a seating capacity of at least 150 is found in Valletta, it is likely that the teachings will take place at the Campus Theatre in 2019 too. Can non-Buddhists attend? Yes, absolutely everyone is welcome to attend and participate in full. Why is there no charge to attend the teachings? Selling the Buddhist teachings is frowned upon, and it is encouraged that they should be free, as far as possible. Buddhists believe that, as long as one does it with the right intention, sponsoring such events brings enormous merit and benefit for the sponsor. Can I reserve a seat? Seats will be reserved only for donors this year (see rewards). However, there will be at least 30 unreserved seats, to be occupied on first come first served basis. What happens if all seats are taken when I arrive for the teachings? As far as possible, and in accordance with health and safety rules, everyone who turns up will be allowed to enter and can sit on the floor or stand. It is advisable to bring a cushion if you cannot arrive early. When will the rewards be delivered? Rewards will be delivered during the teachings. The dinner will be held on one of the days, after the teachings. Limit: 7 of 250 taken. Limit: 5 of 15 taken.